The first product is a Maybelline colour tattoo in the shade pink gold. First things first is I absolutely adore it! 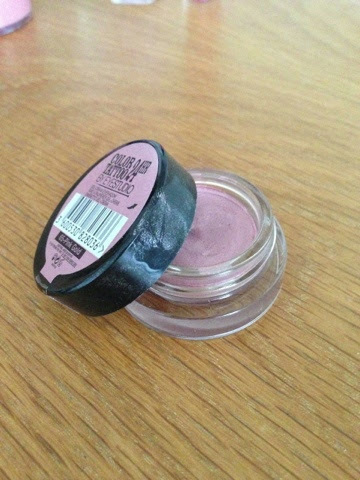 The colour it gives off is so beautiful and fresh, it adds a lovely pink shimmer to the lid. The pigmentation is truly amazing, only a little is needed to achieve an eye look. As soon as I got it, I've been wearing it constantly,I literally love it that much. The colour tattoo claims 24 hour stay on the pot which is something I'd doubt. However, I'd say its accurate because I wore this on my eyes all day in London followed by a party in the night which was a good 16/17 hours and it didn't crease/budge. For £4.99 it's a bargain! I couldn't recommend it more. The next product is a strawberry lip balm. I'm not usually a fan of lip balms in pots, as I don't really like the idea of repeatedly putting your finger in and applying product to the lips. However I really like this. Despite the product being rather thin ,with you having to apply a few coats, it really moisturises the lips and has the most gorgeous smell. I usually apply this before I go to bed, which results in the next morning having my lips feeling soft and moisturised. The next product is a MUA nail polish in the shade 'lush lilac'. As its spring now I've started to get back into pastel and bright colours. After a few coats the nail polish builds up to this beautiful pale pink colour which lasts a good amount of time , 3-5 days. For a pound MUA nail polishes are a bargain and I absolutely love this shade! The next product is one of Tanya Burr's lipgloss's 'picnic in the park'. Tanya's range was launched in over a 100 superdrug stores at the beginning of the month and I couldn't wait to get my hands on them! The lipgloss I was looking forward to buying the most was 'picnic in the park' and I'm so happy I did! It gives the most beautiful medium pinky colour! The lipgloss itself applies so easily due to the flat applicator it comes with. 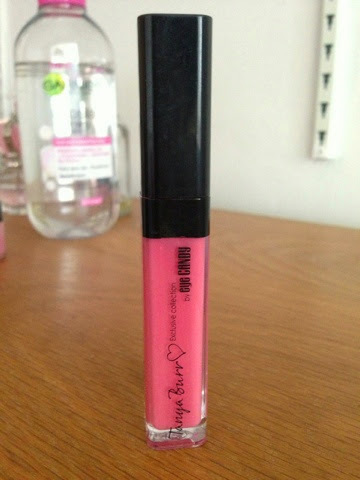 It stays put for a good few hours and once the lipgloss is worn off, it leaves the lips feeling really moisturised. 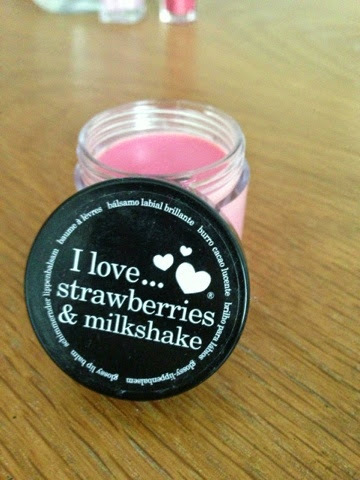 One of my favourite parts of it is the smell, the lipgloss smells of strawberry laces, it just makes me want to eat it! I'm so proud of Tanya for the range and I can't wait to get more of the products. I'll put a full review with swatches up soon. 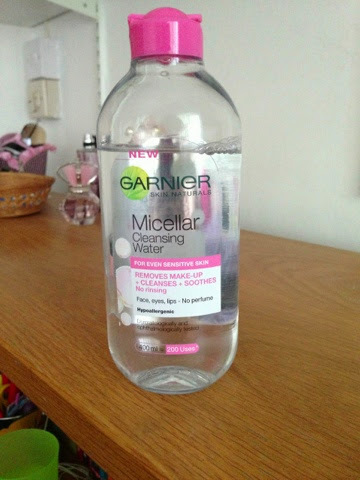 The last product is the raved about micellar cleansing water by garnier. I picked this up because I've read some good reviews and wanted to see if it was worth the hype. I must say it definitely is! The cleansing water easily removes makeup leaving the skin feeling refreshed and soothed. When applied on a cotton pad and wiped over the face, it's really gentle and feels like its doing the job. I honestly love it and am going to post a full review of this too so watch out for that! Hi lovely! 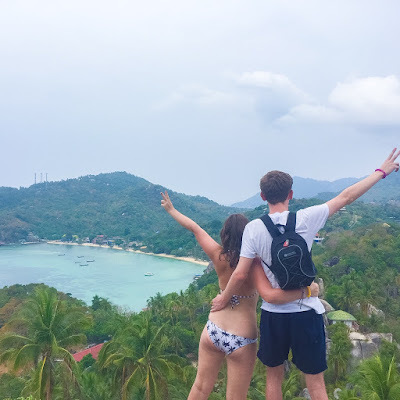 Thanks for following me via BlogLovin, though I see you're following my profile instead of my blog - if you'd like to see my blog updates, please follow BlogFashion on bloglovin :) I'm following you now too!